Every February, my school suspends classes and every student goes into the world and completes a two-week internship. My goal for my internships has been to develop a better understanding of my city. For the past couple years, I have worked in the D.C. public schools, but this year I decided to take a different path by working at Casey Trees. I've grown up in Washington, D.C., and one great thing about being raised here is that the city presents so much. In D.C., you can find places that make you feel like you're in a big city, and you can find other places that make you feel like you're in a small town. D.C. also offers opportunities to enjoy nature in Rock Creek Park, on the shores of the Potomac River, and in smaller recreational parks located throughout the city. I'm fortunate to have had Casey Trees give me the chance to take time to explore my roots and the significance of my city. Reed Young at Casey Trees headquarters. The people that I worked with at Casey Trees are all quality people — the kind of people I would pick to be in a super hero movie to save our city's trees. Every day, I go out with the Tree Planting Crew and do something exciting that requires hard work but in the end is rewarding. In the past two weeks, I've pruned lots of American Elms, assisted planting Trees for Georgetown, selected trees at a nursery to be placed in the city, and attended multiple classes, including one called Stand Up for Trees. These experiences have taken me all across the city to various communities. Working at Casey Trees, I've also learned how a good non-profit is run. I am interested in potentially working in the non-profit field, so it has been a valuable experience to be around Casey Trees and see how the organization works. Although there are many different departments at Casey Trees, everyone who works there finds time to come together. This week on Valentine's Day, the staff held a Chili Cook-Off and celebrated everyone's hard work (the vegetarian chili was really good!). This experience and a handful of others has shown me the importance of building community within an organization so that everyone is recognized and has fun doing such great work. 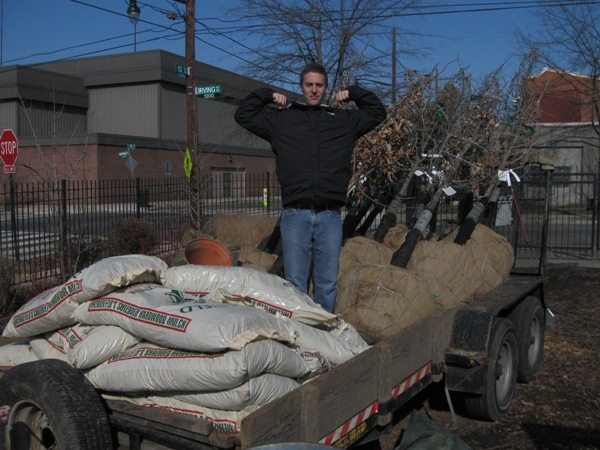 Overall, I have had a great experience at Casey Trees as a part of a team that's improving life in our city.